Brazilian Blowout is best known for turning frizzy hair into the smoothest tresses the world has ever seen. 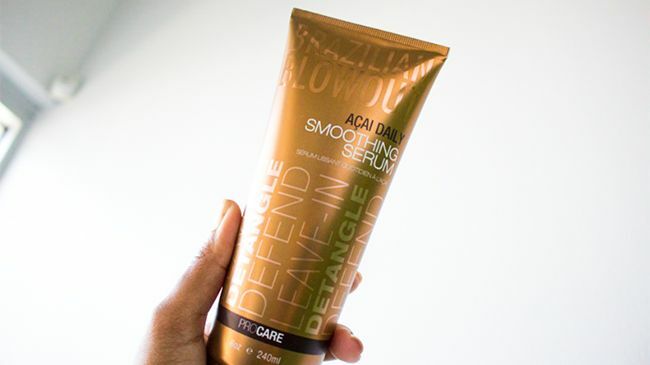 The Açai Deep Conditioning Masque was designed to strengthen and restructure stressed curly strands while jabbing frizz with a one-two knockout! To ensure that your curls are healthy, use the masque at least twice a week. 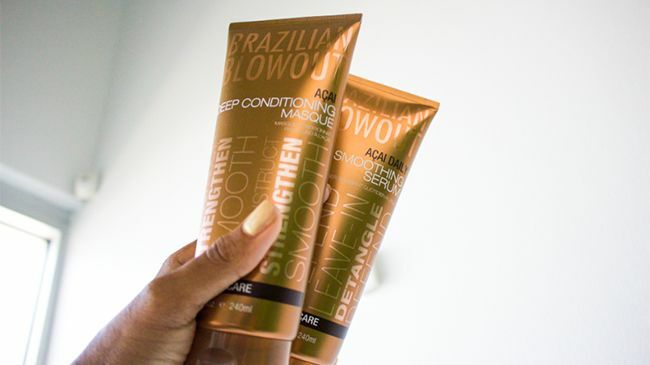 The Brazilian Blowout team recommends leaving the masque, which must be applied from root to tip, in your hair overnight. If you prefer to leave it in for 10-20 minutes, that will work just fine, too. Follow up your deep conditioning treatment with the amino acid packed Açai Daily Smoothing Serum. This serum will lock moisture into your hair while completely eliminating the humidity! Intrigued? Yes, you can wear use this prior to styling your cleansed, air- or towel-dried curls to give your hair an extra boost of moisture and full spectrum UVA/UVB protection. Can’t wait to get your hands on these curly girl smoothing products? Scroll down and click on the product images to buy ‘em now. Enter the Community Giveaway Now! 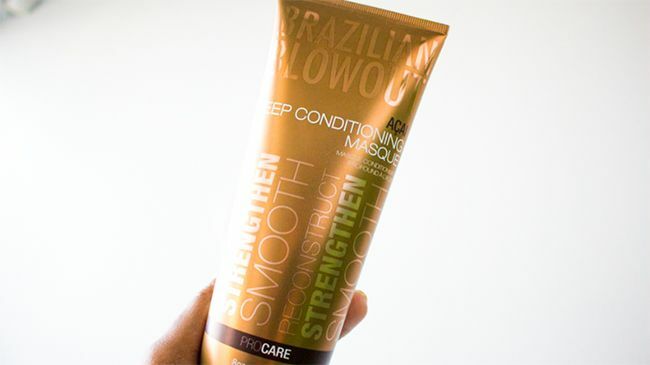 This top ranking hair care juggernaut wants to give you the opportunity to keep your curls in tip-top shape with its Brazilian Super-Nutrient Complex and versatile line aftercare products! If you’re ready to custom-craft your naturally curly journey by injecting some serious shine and a nourishing complex into your crown and glory’s hair care routine, enter to win the remarkable Açai Deep Conditioning Masque and Açai Daily Smoothing Serum now. 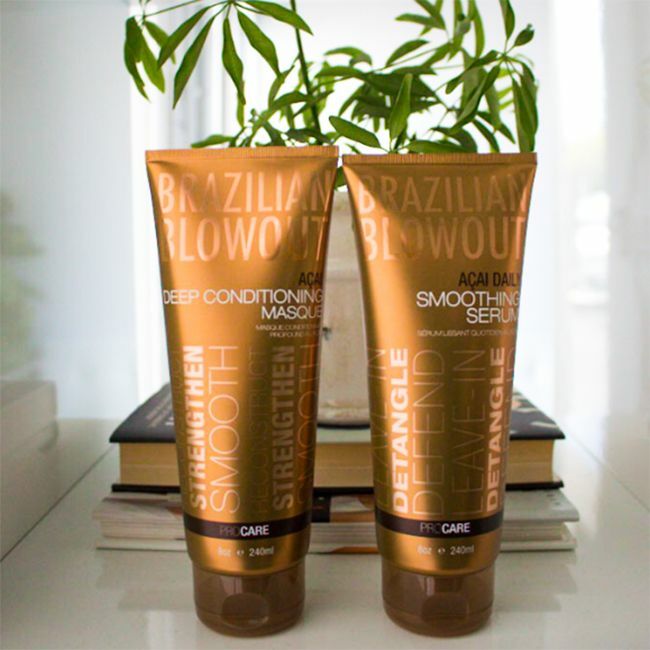 All you have to do to enter is tell us why you want this nutrient-rich, power duo from Brazilian Blowout in the comments section below! Oh! And if you want to see how easy it is to use the Brazilian Blowout aftercare products for summertime fun, enjoy the following video. It features Beauty and Style Influencer Nikki Johnson! This post is sponsored by Brazilian Blowout .